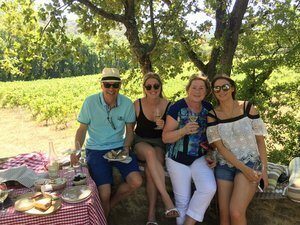 You will find below a sample itinerary for a team building wine tasting trip to Provence. A guide price for this trip is £995 (GBP) per person. In the morning, fly from London Heathrow to Marseille with British Airways. Flights are also available from London Gatwick, London Stansted, Bristol, Manchester, Glasgow, Edinburgh and Dublin. You will be met at the airport by a chauffeured coach and English-speaking specialist guide, who will accompany you throughout the duration of your trip. 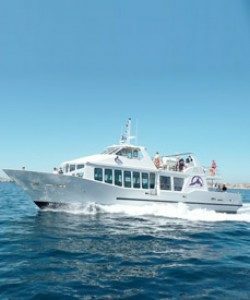 You will firstly be taken to Marseille’s port, where you will board a privatised boat for an unforgettable three hour cruise to the stunning calanques (narrow, steep-walled inlets that characterise the local coastline). A drinks reception with canapés will be served on board. After lunch, you will be taken to the pretty Luberon region, where you will check into twin rooms at the beautiful 4* Château de Mazan. The remainder of the afternoon will be free to settle in and relax at the hotel, perhaps taking a dip in the outdoor pool. In the evening, a three course dinner with drinks will be served in the Château’s gourmet restaurant. After breakfast, your chauffeur and guide will return and accompany you throughout the day on a tour of the local vineyards. You will firstly be welcomed as the guests of a family-run winery, situated at the foot of the Ventoux mountains. Following a full tour of the estate, seeing first-hand the fascinating wine-making process from vine to bottle, an extensive tasting session will ensue. A picnic lunch will have been prepared for you here and this can be enjoyed in a picturesque spot in the Château’s grounds. The afternoon will be spent having a tour of the vineyards, estate and cellars of a second wine-maker, whose historical Château dates back to the 9th Your visit will conclude with tastings of the domaine’s Côtes du Ventoux wines. You will be taken back to the Château at the end of the day for some time to freshen up. In the evening, a mouth-watering four course dinner will be served in a nearby Michelin-starred restaurant. A different local wine will be perfectly paired with each dish. After a leisurely breakfast and check out, your chauffeur and guide will accompany you on a final day of activities. 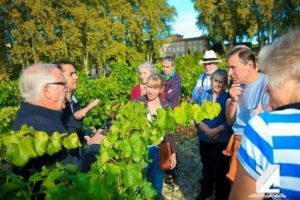 You will firstly be welcomed as the guests of a premium Châteauneuf-du-Pape wine-maker, who will lead a fascinating vineyard workshop. He will then take you on a tour of his estate before a delicious, home-made lunch is served in the opulent dining room. Your meal will be washed down with tastings of six of the estate’s award-winning wines. After lunch, you will be taken to Avignon, where you will have some free time to explore the city independently. We will provide you with entry tickets to the famed Palais des Papes. The palace is one of the largest and most importantmedieval Gothic buildings in Europe and was once the papal residence and the seat of Western Christianity during the 14th We will also provide you with tickets to visit the Pont d’Avignon, an authentic medieval bridge, with picturesque views of the Rhône River. 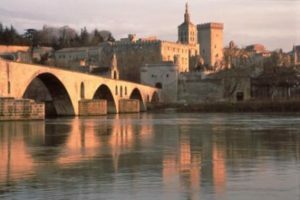 The bridge was the inspiration for the songSur le Pont d’Avignon and is considered a landmark of the city. In 1995, the surviving arches of the bridge, together with the Palais des Papes were classified as a World Heritage Site. At the end of the day, you will be taken back to Marseille airport in time for your return flight. The guide price of £995 per person is based on 20 people sharing twin rooms and includes return flights to Marseille, 2 nights’ accommodation with breakfast at Château de Mazan, a chauffeured coach and a specialist guide for 3 days, tours and tastings at 3 wineries, a private cruise to the Marseille calanques, entry to the Palais des Papes and the Pont d’Avignon, 3 lunches and 2 dinners with drinks. Give us a call on +44 (0) 1920 46 86 66 or e-mail info@grapeescapes.net to start planning your team building wine tasting trip with our team of experts.